Hello and welcome to another reading roundup. Again, it’s been a month where I’ve really struggled to focus on reading and blogging. I really should be more ruthless about putting books into my Did Not Finish pile. I spent too much of the month plodding through books which really weren’t doing anything for me. With regards to Yellow Brick War by Danielle Paige, I’ll be perfectly honest and say that my opinion and rating is heavily influenced by my – mistaken – impression that this was the final book in the Dorothy Must Die series. This is a series involving an updating and reimagining of the world of L Frank Baum’s Wizard of Oz. I had been expecting, and looking forward to, resolution to the plot points introduced in Dorothy Must Die and The Wicked Will Rise. So coming towards the end of the book when I realised there were no resolutions coming, I felt annoyed and frustrated. My own fault, I freely admit it. Had I known there was one more book to come, I could have better appreciated the continued excellent worldbuilding and character development in Yellow Brick War. I will certainly read the conclusion when it comes out. I look forward to reading the conclusion of Amy’s story. I gave Yellow Brick War three stars out of five. 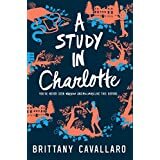 A Study in Charlotte by Brittany Cavallaro is one I should probably have consigned to the Did Not Finish pile much sooner than I did. The concept sounded fascinating. In Cavallaro’s world Sherlock Holmes and Doctor Watson were real and their modern day teen descendants Charlotte Holmes and Jamie Watson meet up at an exclusive boarding school to solve mysteries. It’s clear that a significant effort was made to reflect the personalities of Holmes and Watson in a modern day setting and to some extent it succeeded. What completely turned me off this book is that the author introduced sexual tension between Holmes and Watson. With that partnership it is a meeting of minds, not bodies and I personally lost all interest in the story after that. That is a personal opinion and your mileage may vary. A Study in Charlotte rated barely two stars out of five on my scale. This was my second attempt to read Maggie Stiefvater’s The Raven Boys. The first time I started, I just couldn’t get into it at all. This second attempt was much more successful. It’s clear that this is setting up a series. The book opens with a real bang – Blue is fated to meet and/or kill her one true love within the next year. I definitely want to read how that plays out. There were multiple points introduced that I expect will pay off in later books – I would say Stiefvater is an architect rather than a gardener. I found the characters interesting even if not all of them are immediately likeable – or intended to be so. The type of supernatural events in this book are ones that to me, personally, are very creepy. I will have to take a break and read a cutesy contemporary to clear my mind before I start The Dream Thieves! 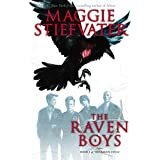 I gave The Raven Boys four stars out of five. 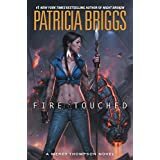 Fire Touched is the ninth book in Patricia Briggs’ Mercy Thompson series. I must admit I wasn’t overly excited about reading it. I like Mercy and the rest of her allies; I just feel after nine books her story has pretty much come to an end. I’ve felt that way for the last couple of books. It’s like a long established, high quality TV procedural. You pretty much know what you are going to get going into it, but you still enjoy it. I keep saying I’m not going to read any more, yet I still do and still enjoy them. I gave Fire Touched three and a half stars out of five. In other news, I’m beginning to get excited about Book Expo of America, BEA, in Chicago in May. This will be my first time there, so if any of you old hats could give me some tips that would be very much appreciated. There are two books coming out in April about which I’m rather excited. The first of these is Every Heart a Doorway by Seanan McGuire. This is a young adult fantasy and I was drawn to it by the concept; what happens to young people like Alice or Dorothy when they return home from Wonderland or Oz? How do they adapt? Every Heart a Doorway is released on April 5th and I’ve preordered it in Kindle format. The second is Eligible, the next in the Austen Project series of modern retellings of Jane Austen classics. Eligible is the adaptation of Pride and Prejudice and is written by Curtis Sittenfeld. There is a sneak peek of the audiobook available on SoundCloud, which sounds fantastic. I have preordered the book in audiobook format based on this snippet. That’s not to say I don’t have my concerns. The Austen project adaptations have ranged from the bland and uninspired (Emma, Sense and Sensibility) to the very, very good (Northanger Abbey). Pride and Prejudice is probably the best known – and most adapted – of Austen’s works and Eligible has a lot of work ahead of it to compare to the superb Lizzie Bennet Diaries YouTube series. I am intrigued that Sittenfeld has moved the story to Cincinnati and aged up our protagonists to nearly 40, giving a more modern pressure point for Lizzie and Jane to look for a husband. It could well work, and from the snippet I am cautiously optimistic. Eligible is released on April 26th. Have a good week and will review more books soon. Lady Midnight by Cassandra Clare is the first in The Dark Artifices, a new Shadowhunters series set around the Shadowhunters Institute in LA. It focusses on Emma Carstairs and her parabatai Julian Blackthorn, characters introduced in City of Heavenly Fire, the final book in the Mortal Instruments series. This was one of my most anticipated reads of 2016 and I LOVED it. The setup for Lady Midnight was one of the things I enjoyed most about City of Heavenly Fire and it more than lived up to its promise. I devoured this 700+ page book in less than a day. The characters. Although Emma is a smart, engaging kickass heroine, I found my sympathies being drawn more to Julian – his struggles and challenges spoke to me even more than Emma’s. I was also very interested that this time we meet some Shadowhunters who do not necessarily fit the mould of young teens, perfect in mind and body who embody the ideals of the Clave. Particularly interesting to me was Tiberius, who is clearly on the autism spectrum. I thought it was wonderful how he was shown to make a significant contribution to our protagonists’ quest even if it wasn’t always by going out and fighting demons. I am interested to see how the Clave tries to handle him in the future. We also have Mark Blackthorn, who, although technically a Shadowhunter has been strongly influenced by his time with the Fae. In both these cases we clearly see how Shadowhunter society in general is not very accepting of those who do not fit a specific mould. The Law. The Law is a major theme in this book, specifically how to handle a law that seems harsh or unfair. This is symbolised by two Latin phrases “Sed lex, dura lex” – the Law is hard, but it is the Law – and “lex malla, lex nulla” – a bad law is no law at all. This refers mainly to the law against helping the Fair Folk, and this is used to hinder our protagonists in their quest. We see attempts to get around this law both by diplomatic means and then by less open methods. Of course this theme also applies to the law against parabatai falling in love, which is also a major issue for our protagonists. All in all, it didn’t leave me feeling very positive towards the Clave and Council. I look forward to seeing how Julian and Emma and their friends change their world for the better. The world. I really don’t need to say much here. Clare’s world is absolutely phenomenal and fascinating. What was particularly interesting this time was seeing a post Dark War world. The struggle with Sebastian has left its mark and even five years later, the results can still be seen. We learn of new, elite Shadowhunters and processes that have been put in place as a result of the War – processes that aren’t necessarily for the best. I’m not sure if Clare was aiming to reflect our modern post 9/11 world in this, but that is certainly what it made me think of. Bland, boring antagonist. I wasn’t especially engaged by the antagonist – however, I suspect that the real villain of the piece was intended to be the rigid, inflexible attitude of those in charge of the Shadowhunters and the climate of fear that seems pervasive. I would imagine we’ll see our heroes come into direct conflict with that later on in the series. I gave Lady Midnight five stars out of five – when is the next book due out? A Gathering of Shadows by V.E. Schwab is the second in the Darker Shade of Magic Series which centres on Kell, an Antari magician who has the ability to move between different worlds, and Lila, a young woman from “our” London who has ended up in Kell’s magical home world. I really enjoyed the first book, A Darker Shade of Magic, and was very much looking forward to this next instalment. I LOVED this book and am happy to recommend it. The characters. Right from the beginning, Lila had me chuckling along with her sassy attitude and I sympathised with Kell and Rhy as they tried to come to terms with the events of the previous book. Some new characters are introduced, notably Alucard Emery. This is a particularly interesting new addition as both our protagonists have very different attitudes towards him. This leaves the reader somewhat torn about how to feel about him. He’s rather a mysterious characters – It’s clear that he’s a lot more than just the pirate – excuse me, privateer – that he claims to be. I really hope we learn more about him in subsequent books. The romance. The relationship between Kell and Lila was so cute and beautifully done, especially given how little time they actually spend interacting with each other in the book. There were so many adorable instances of Lila thinking things like “oh, that guy’s hair is almost the same shade as Kell’s” or Kell’s seeing something pretty and thinking of how much Lila would enjoy it. Of course, if confronted both would vehemently deny being in love. A clear case of showing, not telling. Brava Victoria. Interesting pacing. As the book blurb indicates, a significant focus of this book is the Element Games, a magical equivalent of our Olympics. Yet, they do not provide much dramatic tension. They are generally non lethal, and the outcome of winning is little more than achieving bragging rights. In fact, until about 85% of the way through the book very little actually happens. Towards the end, it was very clear that this story would not be self contained in the way that the first one was, and that I would have to prepare for a cliffhanger. The wonderful thing, however, is that I really didn’t care. I was having too much fun following these two crazy kids and their mixed signals romance and the magical world in which it takes place. The last few chapters of the book really speed things up though and I can’t wait for the next book. Lack of variety in the Element Games. Each level of the competition follows the same format. I would have welcomed some changes in structure for the subsequent bouts. Also I did have to suspend my disbelief at certain participants. Did Stasion really think he could compete at Olympic level with his limited experience of magic? Despite those minor gripes, I adored A Gathering of Shadows and it gets a well-deserved five stars out of five from me.